It's done. The Sebastien story goes on with a sixth World Rally Championship chapter from Gap. The first thing we have to say is huge congratulations to Ogier, his co-driver Julien Ingrassia and everybody at M-Sport. You earned this one. Anybody involved in professional sport will tell you only one thing matters: winning. But, let's be honest, there's winning and there's winning. Usain Bolt won the 100m gold at the 2008 Beijing Olympics, slowing to take the finish in 9.69 seconds. By his own standards, he'd walked it. And his talked-up, hyped-out rival Tyson Gay didn't even make the final. Back to the Bird's Nest seven years on and Bolt squeezes American Justin Gatlin to gold by one-hundredth of a second. Ask fans about one Bolt race and that 2015 world championship tops most lists. Ask fans about one Sebastien Ogier title and, from here on in, I'm sure 2018 will top most lists. It was that good. "It was definitely the toughest," says Ogier. "Coming to the last round with only three points between me and Thierry [Neuville], and Ott [Tanak] there as well... yeah, this was not so easy." This has been an incredible season, with fortunes ebbing and flowing for all three drivers. 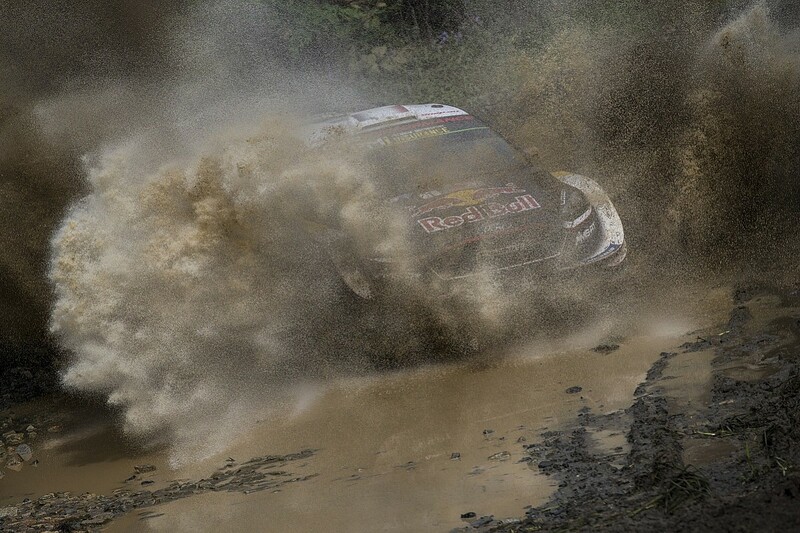 Ogier bossed the start of the year, winning three from the first four. 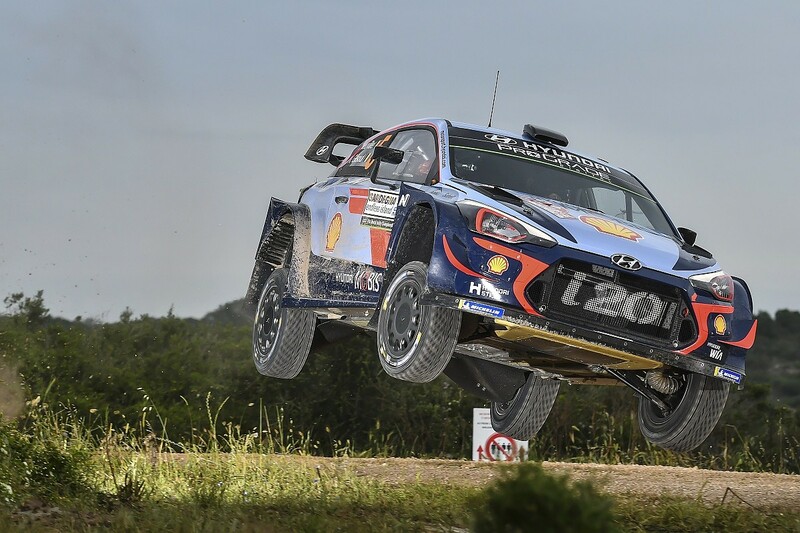 But then it was Neuville's mid-season; who could forget his outstanding Sardinia win, where he overturned Ogier's 0.8-second advantage with a stunning powerstage to hit the beach and win by just seven tenths. He was magnificent; that stage was as good as anything I've seen in rallying. Going into the summer break many predicted the end of the Sebastien story. 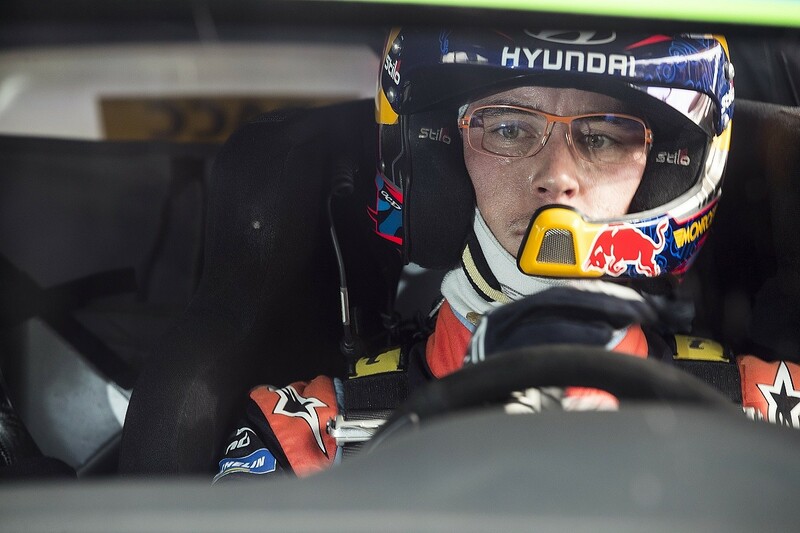 He was 27 points down with just six rounds to run - the championship was most definitely Neuville's to lose. But what about Tanak? 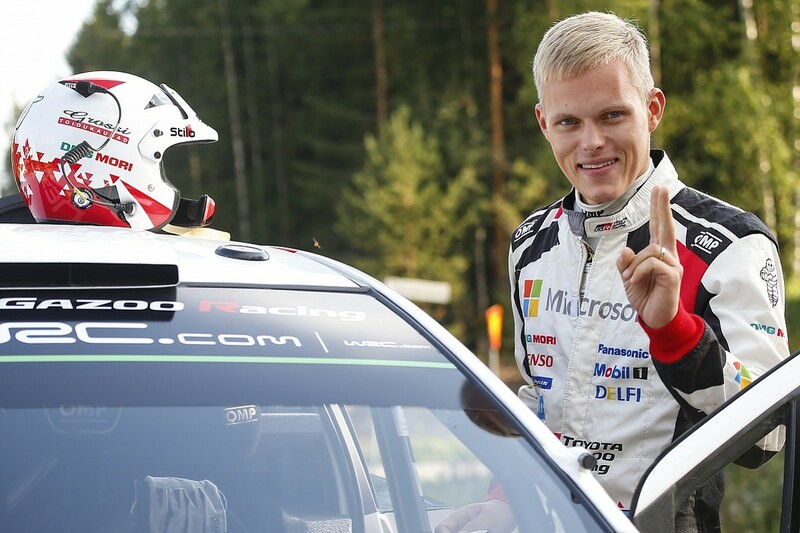 Sure, he'd got a fast car and he had won in Argentina, but the Toyota's frailties and/or a heavy-handed Estonian approach seemed to have ruled him out of this one. No one seriously saw him as a title contender mid-season. He headed for his holidays with 77 points on the board; Neuville was slapping on the shades and suntan lotion with 149 to his name. Tanak would surely have to wait another year. Then he won in Finland. And Germany. And Turkey. Departing Asia, Ogier was down to third, Tanak was up to second and just 13 points off the lead. Tanak had found the biggest of waves and was ready to ride it all the way from Wales through Spain and on to New South Wales. Neuville and Ogier were floundering, Tanak flourishing. The first day of Rally GB was by no means the icing on the cake, but it was the rallying equivalent of the icing being put into the icing bag. Talking to Tanak at the end of the second run through Penmachno, things were looking good. He'd won five of the eight forest stages and was 28.8s up on the everybody. His mood was good as he pulled grass from the side of the road to wipe the mud from the windows of his Yaris. I've known Tanak long enough to know he's not one to sell you a line; it's not what he's about, not what he does. He chooses his words carefully and the ones he uses are worth listening to. Here was a man firmly in control of his own destiny; here was a man destined for the top of the world. A day later and his car was broken. Three weeks later and it was up and down again in Spain after a puncture robbed him of another lead. And in Australia, he was all out of remarkable recoveries. All he could do was put everything on the line and push for the win. It was the same story for Neuville. He too had no option. To be behind Ogier was - powerstage bonus points notwithstanding - to be nowhere. But with only a three-point buffer going into the finale, there was no way Ogier could seriously consider anything other than a maximum attack. All of which combined to present us with the most intriguing finale on the Coffs coast halfway between Sydney and Brisbane. Winner would take all. As each of the three dryly observed at some point in the lead-up: "There can be only one world champion. Two of us will go home unhappy." But before anybody went home, the season had three more days to run. And those three days contained some of the trickiest roads of the year. Saturday was a particular toughie, with so much gravel sitting on super-fast roads cutting through the countryside. There's nothing to test a driver's nerve like that feeling of numbness when you turn into a corner at 100mph and nothing happens. There's a nano-second before the mechanical grip backs you, the aero loads up to give you a southerly shove and you begin to change direction. It feels like an eternity, but backing out of the throttle is not an option. You back yourself. You send it. That's life on the knife-edge. And that was what Rally Australia was all about. It was walking the line, running the risk and the champion would be the one who made the least mistakes. Ogier knew that better than anybody. Key to this deal was being able to relax into the job and drive naturally. Force it and you could forget it. Before the start, listening in on the one-liners, two of them stood out. The defending champion played the game beautifully. "I remember," he said, "what it's like when you are pushing for your first title, it means so much. I have five of them now and, sure, I would like a sixth... but it's not going to change my life." Neuville groped for some sort of response and came up with... "In his situation, it's already something positive to know that I secured my future already. "So if the championship won't happen this year - and hopefully it will - I know I have more chances to come. "That relaxes me a little bit." Really? "Hopefully it will... Relaxes me a little bit." I'm no kind of psychologist, but even I could see one driver arrived into Friday flying higher than the other. And that's how it played out. Ogier was supreme and inch-perfect on his way to another title. Tanak and Neuville threw everything at it; both were fantastically brave and utterly committed, but they made mistakes. They came up short. They ended their season in the trees. 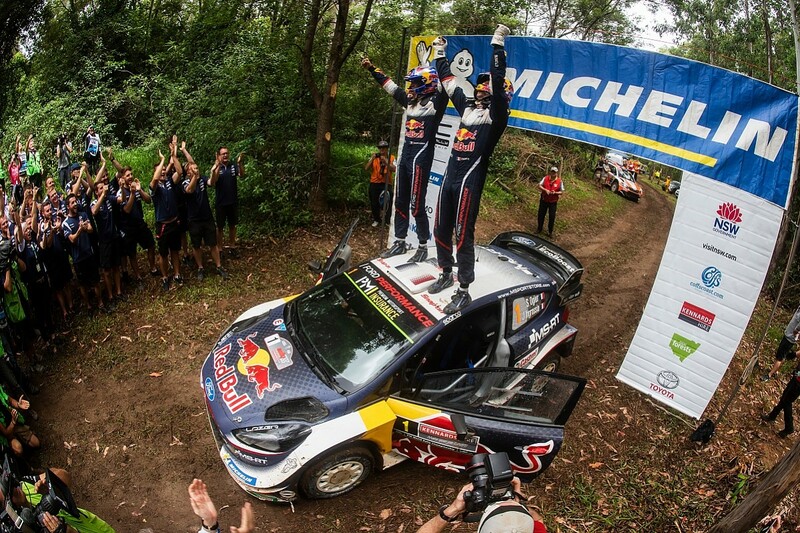 Ogier ended his flying home with another title firmly stowed. It's been one heck of a season. One heck of a story. David Evans is the rallies editor of Autosport and Motorsport News. A successful rally driving father ensured an early introduction to motorsport and, fascinated as he was by rallying, the fourth estate was of equal interest. Having read (or at least looked at the pictures) from the age of two, he joined <i>Motoring News</i> in 1996 and later moved to Autosport in 2002.